At midnight on May 15, 1978, bell bottoms, strobe lights, disco music, and electronic gaming collided at the now legendary New York City nightclub, Studio 54. The guest of honor that night was Simon, a new game from Milton Bradley. Named and patterned after the children’s game, “Simon Says,” Simon was an instant hit. Along with Merlin from Parker Brothers, Simon helped usher in the microprocessor-driven consumer electronic toy craze of the 1980s. Simon is a classic memory game. The saucer-shaped toy has four colored buttons (red, yellow, green, and blue) that light up and produce unique musical notes when pressed or activated automatically by Simon himself when the game is played by a single player. Gameplay consists of one or more players attempting to repeat a musical sequence that grows increasingly longer with each round. Failing to repeat a sequence exactly or within a 5-second window causes the game to emit a “RAZZ” sound to indicate that a player has lost. To keep things challenging, Simon offers three different games (“Simon Says”, “Player Adds”, and “Choose Your Color”) and four different skill levels. 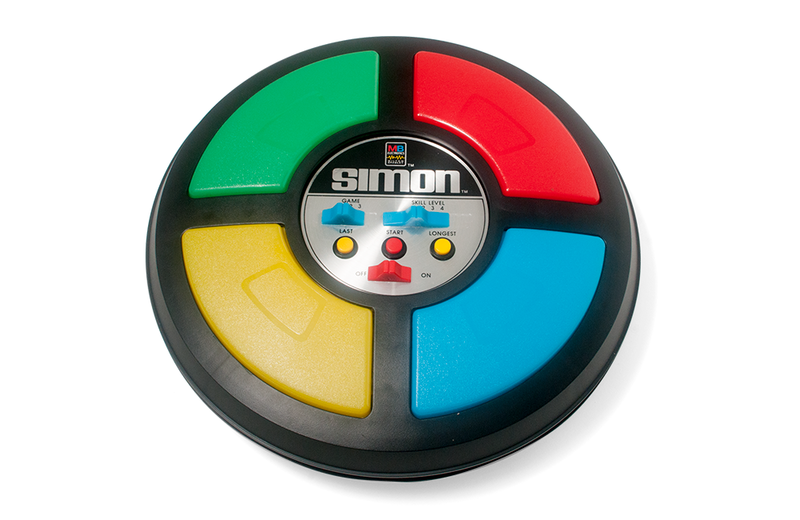 Simon was invented by Ralph Baer and Howard Morrison, a partner at the toy design firm Marvin Glass & Associates. Baer has often been referred to as “The Father of the Video Game”, as he was responsible for the development of the first home video game console, the Odyssey sold by Magnavox. 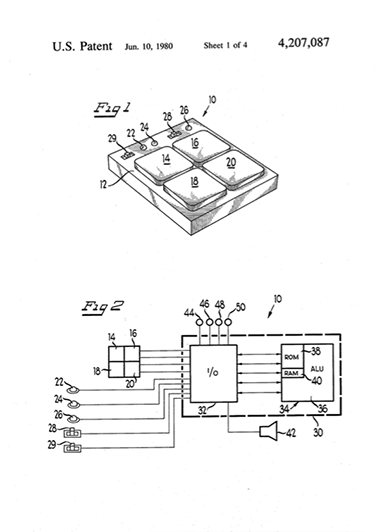 United States Patent #4,207,087, filed September 19, 1997 on behalf of the two inventors, illustrates the microprocessor block diagram that controlled the game. 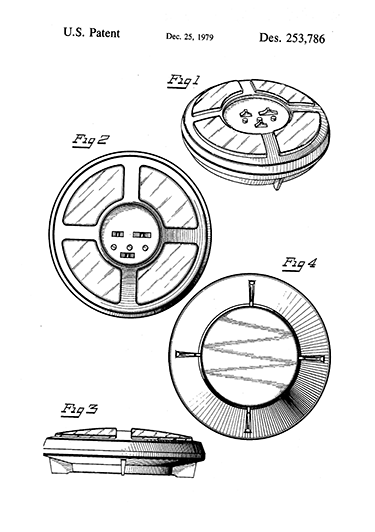 A separate patent (United States Design Patent #253,786) was issued on behalf of Douglas P. Montague for Simon’s unique housing. The game operates on a single 9-volt and two D-cell batteries. Simon is still in production by Hasbro today. Over the years, the enduring popularity of the game has led to numerous variants, including Pocket Simon, the eight-button Super Simon, the two-sided Simon Squared, and the color shifting Simon Bounce. For a large part of the 20th century, Transogram Toys and Games produced an array of toys, games, outdoor sports sets, and kid-sized furniture. This dealer catalog from 1961 illustrates the company’s diverse product offerings.